← Fans Ruining Martin Freeman’s Richard III? So Says The Telegraph! BBC issues apologies to fans as FIVE scripts for the new series of Doctor Who have been leaked online, seven weeks before the episodes are broadcast! Shame on whoever did that! BBC Worldwide said it was investigating “a security issue around Doctor Who Series Eight where unfinished material has inadvertently been made public”. The statement urged fans not to distribute the spoiler material. Would YOU read the scripts if they fell into your hands? My personal answer to that is NO. Why would you want to spoil it for yourself? Half the fun is the excitement surrounding the anticipation of a new season’s premiere. “We deeply regret this and apologise to all the show’s fans, the BBC and the cast and crew who have worked tirelessly making the series. “We would like to make a plea to anyone who might have any of this material and spoilers associated with it not to share it with a wider audience so that everyone can enjoy the show as it should be seen when it launches. The scripts were apparently leaked via the BBC Worldwide office in the US. Can’t WAIT for new Season of Doctor Who which I will watch on TV! How heartbreaking it is for the Doctor Who creatives and cast who work tirelessly to create, not just another episode in another season of another television show…but to create an event that all of the fans look forward to experiencing. Why would someone want to spoil that by reading it first? Hopefully Whovians will ban together and EXTERMINATE any outlets that leak the material publicly before the show airs. Slap them in the TARDIS and send them to another universe, I say! Lady Anglophile…Sonic Screwdriver in hand! 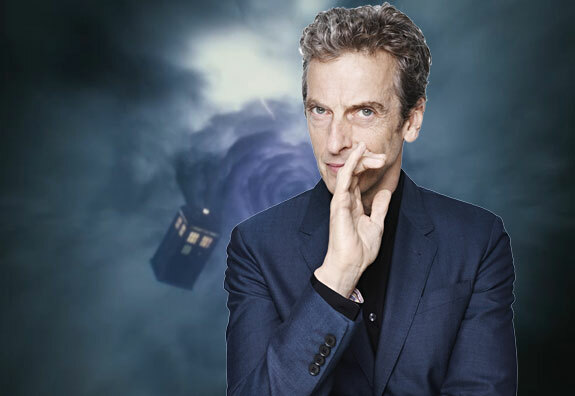 This entry was posted in Home Page Posts, Lady Anglophile Reviews & Other Bits and Bobs and tagged BBC, Doctor Who, Doctor Who Scrips Leaked, Peter Capaldi. Bookmark the permalink. 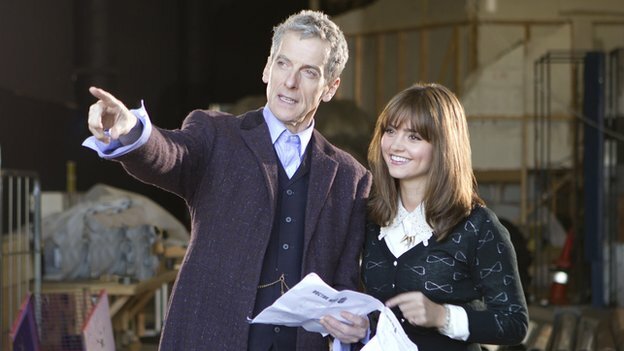 2 Responses to Doctor Who Scripts Leaked Online! Would YOU Read Them? Absolutely NOT! I get upset with anyone who tells me anything at all about my favorite British series. I personally don’t mind spoilers, but I would never share any material that came my way. It’s not fair on others.